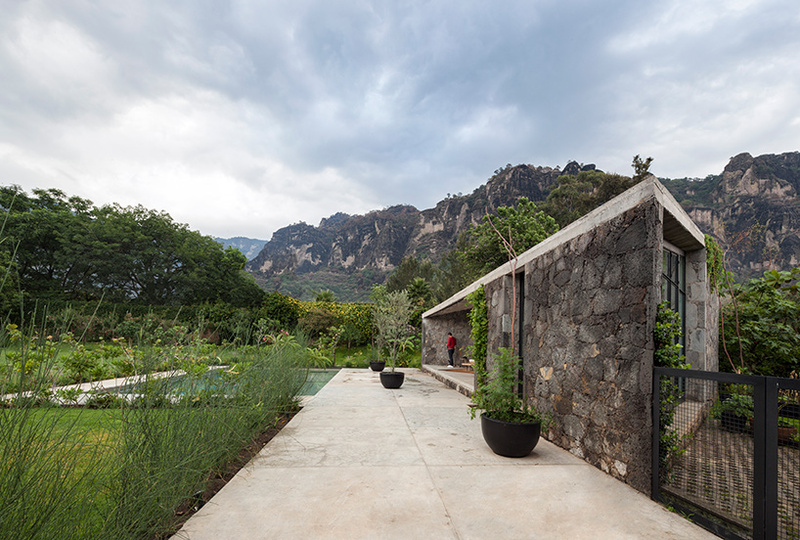 in 2016, barcelona- and mexico city-based firm cadaval & solà-morales completed ‘MA house’, an angular stone residence on a plot surrounded by mountains. 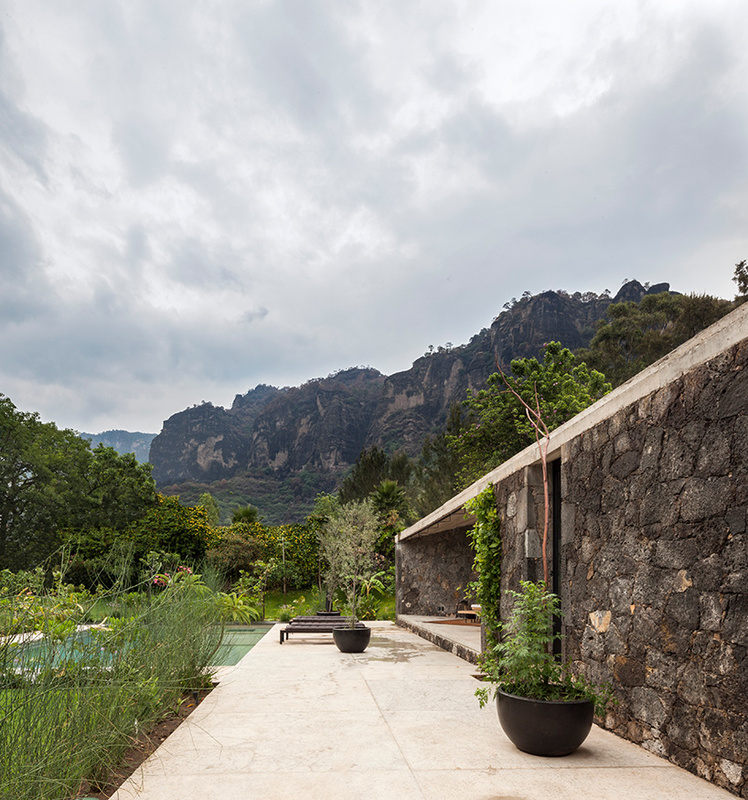 now, the firm has returned to the site — located on the outskirts of tepoztlán, a town south of mexico city — to complete a separate structure on the grounds of the previous property. 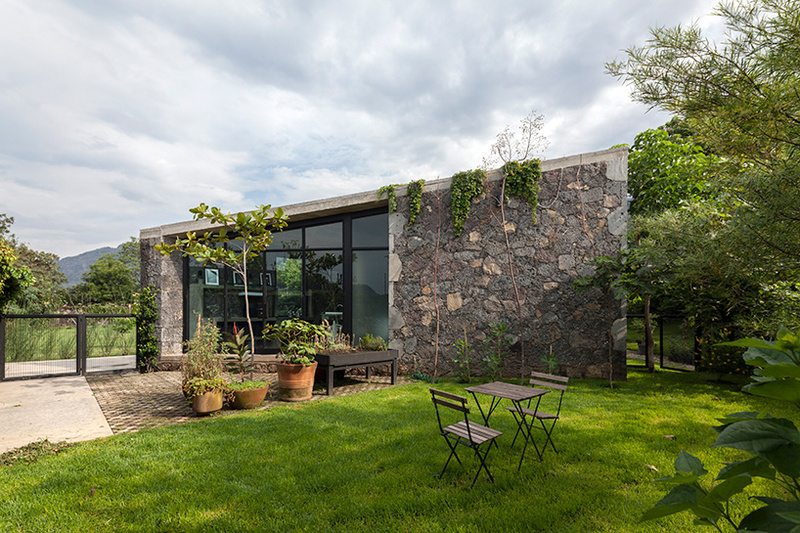 the two buildings share the same landscape, garden, and views, however the new structure — named ‘lounge MA’ — has its own specific program. 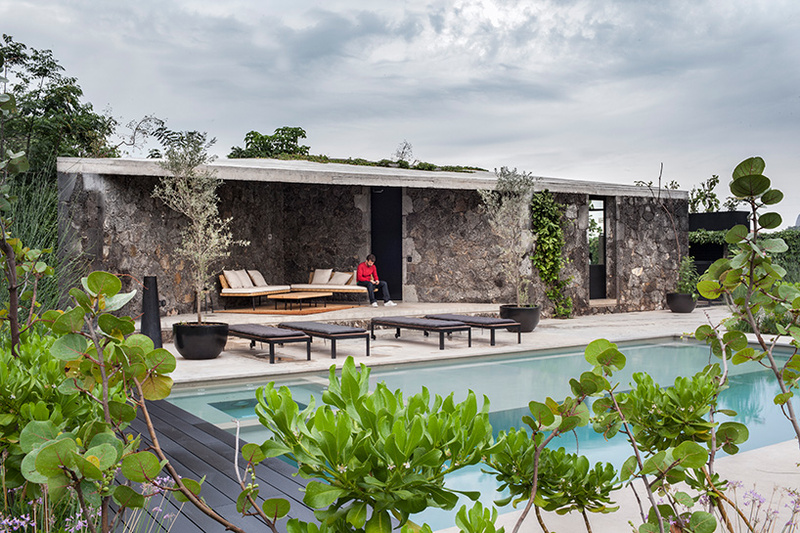 providing a place of shade next to the home’s swimming pool, cadaval & solà-morales designed the building as a place for recreation and relaxation. although through its form and materiality the lounge exists in permanent dialog with the main dwelling, it also seeks to create a ‘world of its own’. 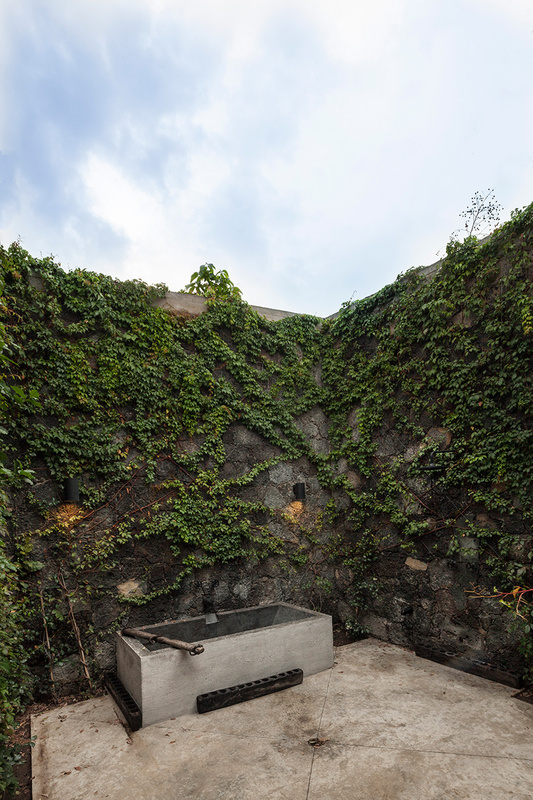 the triangular structure encloses a sheltered outdoor patio, a washroom, and a secluded courtyard that opens up to the sky above. 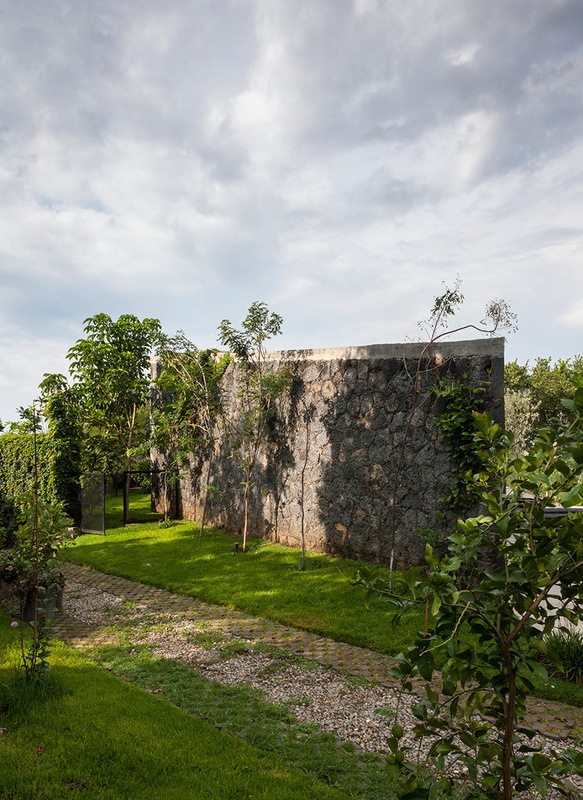 here, vegetation has already taken over the building’s stone walls, establishing a void that is both serene and at one with the natural world. 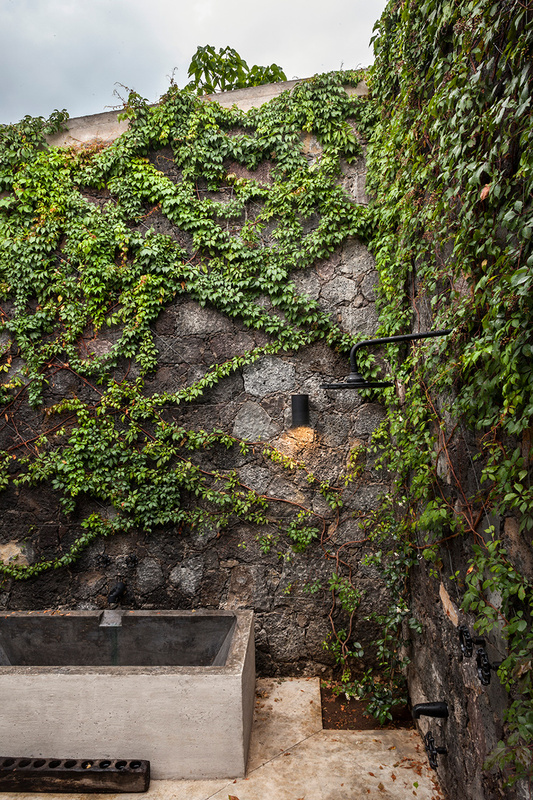 the spaces surrounding the building can be used for a variety of purposes, with more private areas found at the rear of the lounge. 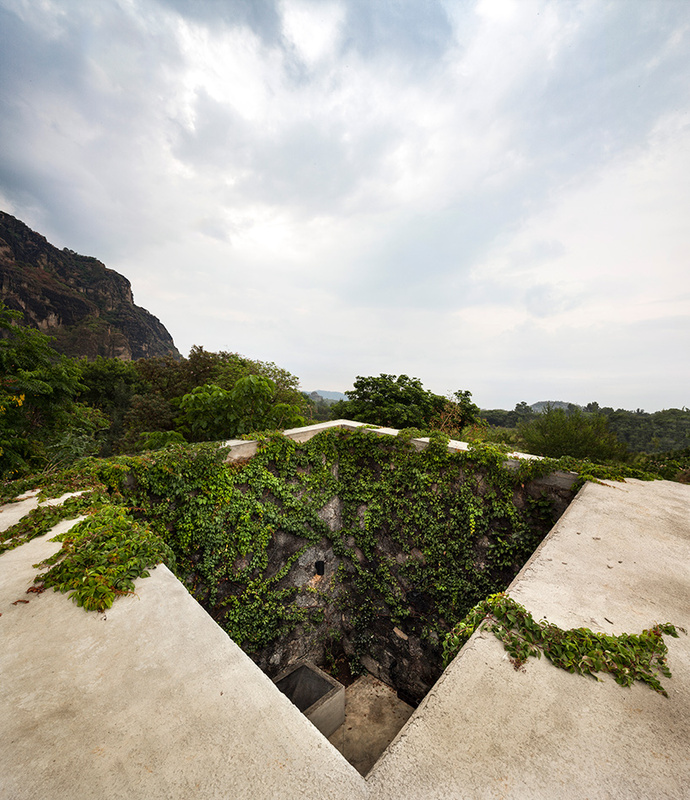 see designboom’s coverage of the remainder of the property here.